A trip to the Tropical North would not be complete without experiencing the wonders of the Great Barrier Reef. Day Trips operate from Cairns and Port Douglas with transfers available from Palm Cove and surrounds. Excellent choice of vessels from small high speed luxury catamarans, mid size sailing to large catamarans that have their own platforms on the outer reef. 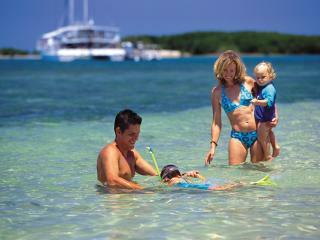 One of the best ways to see the Great Barrier Reef is by joining a small or mid sized cruising ship. 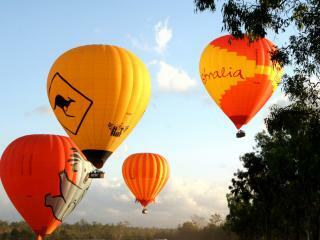 With a variety of ships sailing Australia's most picturesque coastline you can share this wonderful voyage. A variety of vessels are on offer including the Santa Maria, Coral Princess and Coral Sea Dreaming - offering journeys from 2 to 7 days in length. What better to experience the beauty of North Queensland than by taking an exhilarating Hot Air Balloon trip over the Atherton Tablelands with spectacular views to the ocean. Watch the inflation process before hopping into the basket and taking off into the big blue yonder. The perfect addition to any North Queensland holiday! Whether a day trip to explore the reef and rainforest on Green Island Reef island, discover the uninhabited Frankland Island or perhaps a scenic helicopter flight over the Great Barrier Reef before landing on Green Island. 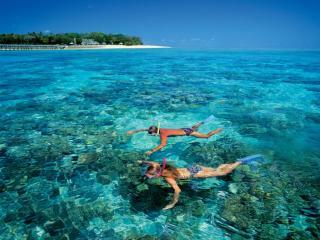 There are several tour operators departing from Cairns that offer a memorable day trip to a reef island. The world heritage listed Daintree Rainforest located north of Cairns and Port Douglas provides visitors to the region with a chance to explore a unique tropical area. Rainforest tours depart from Cairns, Palm Cove and Port Douglas and travel as far as Cape Tribulation and Bloomfield Falls. Many tours also include a cruise along the Daintree River. Variety of tour operators including small 4wd, minibuses and luxury coaches are available. 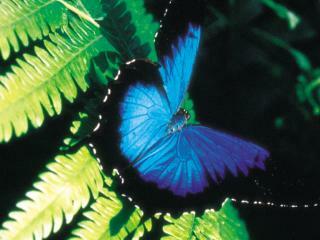 Enjoy amazing aerial views flying over the Daintree Rainforest, Great Barrier Reef and surrounding islands. Or follow the coastline and see the beautiful beaches from Cairns to Port Douglas. Helicopter or aircraft is the choice with a variety of different itineraries available. Excellent opportunity for photos. The tropical North Queensland region is renowned for operating some of Australia's best tourist attractions including the Kuranda Scenic Railway, Skyrail Rainforest Cableway, Tjapukai Aboriginal Cultural Park and the Kuranda Wildlife Experience. 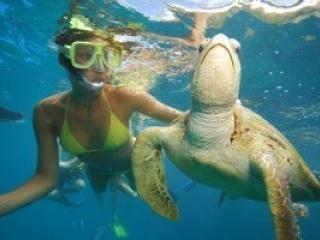 Day tours from Cairns, Northern Beaches and Port Douglas include several different tourist attractions in one tour. White water rafting is popular in the tropics with a number of rivers surrounding Cairns and offering visitors an opportunity to try rafting. Tully River, Barron River and Russell River all have rapids from grades 1 to 4 (seasonal). Looking for something new and adventurous, like to try something different, spend a day out with the family or see parts of this region that you might normally not get to see - all great reasons to try white water rafting in tropical Queensland.